This is trim door seal that installs between the car door and the car body (in the metal edge of the car body). All details about the install place, dimensions, and flexibility is clarified in the pictures. You can select the suitable trim door seal for your vehicle by the dimensions. 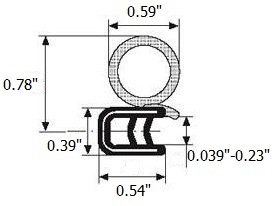 You can compare this Door seal dimensions and your old rubber seal dimensions . The dimensions available in millimeters and inch . Height : 20 M.M . U Height external: 14 M.M . Grip range (edge thickness): 1-4 M.M . 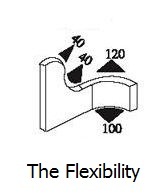 Grip range (edge thickness): 0.039"-0.15"
- In the metal edge of the car body between the car door and car body. - In the external edge of the car door and more. - Door weather strip for truck. - Door seal for caravan. - Trucks door weather seal. 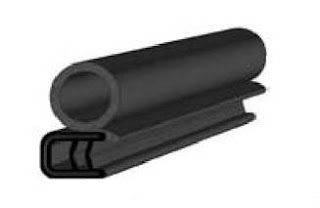 - Door seal rubber for Heavy Equipment. - Trailer door rubber seal. - Seal rubber for buses. - Train door rubber seal. - Rubber Cap for metal sheet. - Rubber strip for boat. 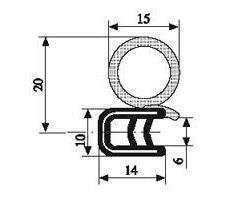 - Rubber seal for metal boxes. - Rubber strip for electrical boards. I have just installed iStripper, so I can have the hottest virtual strippers stripping on my taskbar.